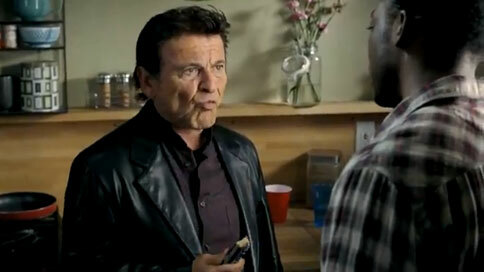 Not exactly playing against type, Joe Pesci portrays an irritable hothead in this latest Snickers spot from BBDO New York, continuing the "You're not you when you're hungry" theme. He gets off a few nasty one-liners while chatting with a couple of girls at a party—one of whom, oddly enough, later turns into Don Rickles. The random pairing of celebs is somewhat amusing, although they really should have thought about getting Roseanne Barr and Pesci in the same spot, and letting them fight it out. Or perhaps bring the sharks over from the Snickers Peanut Butter Squared focus-group ad and have them sort everyone out.